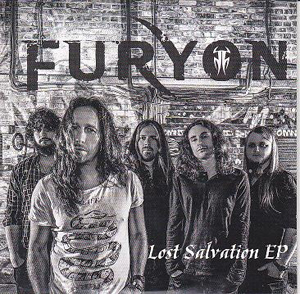 “These Four Walls“, a brand new video from UK rockers FURYON, is taken from the band’s forthcoming second album, Lost Salvation, which is to be released on January 26th, 2015 in UK/EUROPE via Dream Records/Cargo Records and feature 10 new killer songs. The album will be available in stores and at all popular digital outlets. US/Canada release date to follow. Check out the video for "These Four Walls" right HERE. The song "These Four Walls" will be also featured on the Ones To Watch CD, which will go out on all copies of the Classic Rock Magazine UK. Lost Salvation was recorded in Atlanta, US and Brighton, UK and mixed and produced by Rick Beato (SHINEDOWN, FOZZY) & Ken ‘GL’ Lanyon.